Boyer baking kits are the perfect gift for the baker in your life or a gift to treat yourself! 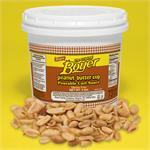 Whether you want to make your own peanut butter cups, Mallo Cups, or even Smoothie cups, BoyerCandies.com has the candy making supplies you need to get you started. From the popular Boyer Candy Cookbook to complete baking kits, Boyer Candy makes it easy for you to bake delicious Boyer approved treats. Are you obsessed with the sinfully sweetness that has become the Mallo Cup? 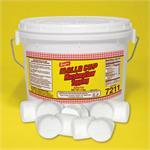 Well try out your baking chops with our Mallo Fluff Baking Ingredient! If you’re stuck on what to make, browse our delectable recipe sections to help get inspired. 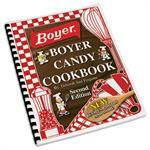 You could find candy making supplies anywhere, but none are as delicious as the supplies that bear the Boyer name! From peanut butter candy to Mallo Cup masterpieces, pick up the Boyer Candy Cookbook and other candy making supplies today!